Another government shutdown would be bad — and not just for the havoc it could wreak on air travel, tax refunds and the finances of hundreds of thousands of federal workers and contractors. When the unprecedented 35-day-long partial government shutdown ended on Jan. 25 with a three-week reprieve, political and economic analysts were optimistic that history would not repeat itself with a second shutdown. The assumption was that the costs — both political and economic — would be too great. “It is difficult to imagine that lawmakers would allow another government shutdown given the political damage the last one did. But if they do, then this time there will also be serious economic damage,” said Mark Zandi, chief economist at Moody’s Analytics. But with negotiations seemingly stalled as of Monday, investors once again were forced to contemplate the prospect of a shutdown that could leave the American economy in uncharted territory. This could change, though, if history repeats itself. “Shutting down the government again would undermine the already fragile collective psyche,” Zandi warned. A new CNBC/SurveyMonkey Small Business Survey found that the number of small-business owners who characterize current conditions as “good” fell by 3 percentage points, as did the overall index. Respondents who support President Donald Trump, though, exhibited a greater drop in optimism. 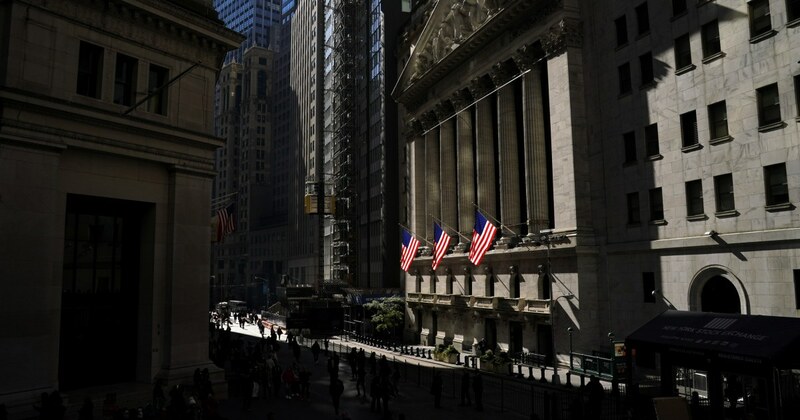 ”Confidence levels are off their peak from 2018, and recent market volatility and political uncertainty may have made them more fragile,” Laura Wronski, senior research scientist at SurveyMonkey, told CNBC. Wall Street already has to worry about lower global growth and trade tensions with China, and a shutdown would magnify its concerns about these other factors. “Investors are clearly nervous, and most business and consumer sentiment surveys show that confidence is flagging,” Zandi said. “A renewed shutdown that continued into March might threaten programs such as food stamps, which would have a more material effect on personal consumption,” said Dominic White, chief economist at Absolute Strategy in London. With congressional leaders at loggerheads and no easy way out of the impasse in sight, the bigger fear is that this brinkmanship could foreshadow far more serious dysfunction. In a Jan. 29 interview with CNN, Sen. Lindsey Graham, R-S.C., a staunch Trump supporter, suggested that the White House’s insistence on funding for a southern border wall could spill over into the already-fraught issue of raising the debt ceiling. “My thought is while we’re talking about all these things that are coming due pretty soon, let’s think bigger rather than smaller,” Graham said. Conflating the two actually would be an extraordinarily risky move, economists say. “This would be a catastrophic error as it would roil global financial markets, resulting in meaningfully higher interest rates on Treasury bonds and cost taxpayers for years — if not decades — to come,” Zandi said. “The bigger risk really concerns the debt ceiling negotiations and the possibility of a ‘technical’ default on Treasury bills,” White said. A sense that the government is lurching from one crisis to the next could undermine already shaky investor confidence, he added. “Financial markets still haven’t fully gotten over December’s volatility,” White said. The current debt ceiling suspension expires March 1; after that, the Treasury Department will need to undertake so-called extraordinary measures to keep the country’s bills paid. It isn’t clear for how long this strategy would work. House Ways and Means Committee Chairman Richard Neal, D-Mass., sent Treasury Secretary Steven Mnuchin a letter last month requesting an update, pointing out that corporate tax cuts and shutdown-related delays at the IRS could result in the Treasury collecting less revenue than expected. A smaller influx of funds would give the government a shorter window of time before it runs out of money. “If the president chooses to engage in brinkmanship on the debt limit, as he did on the shutdown, the market reaction and the cost to our economy would likely be far larger than the 0.02 reduction in GDP that [the Congressional Budget Office] attributed to the shutdown,” Neal warned in his letter.